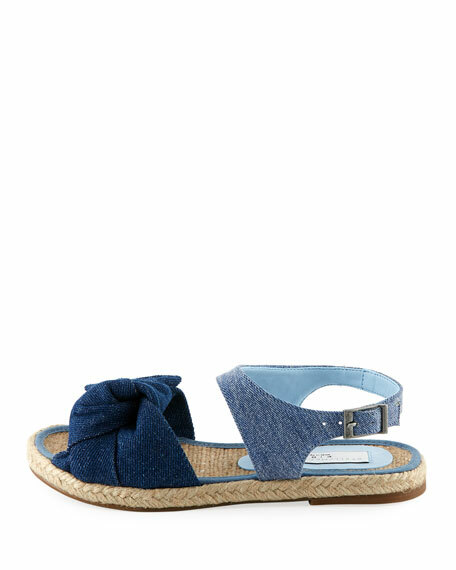 Stella McCartney "Rori" two-tone denim espadrille sandal. Open toe with knot at vamp. For in-store inquiries, use sku #2474723. 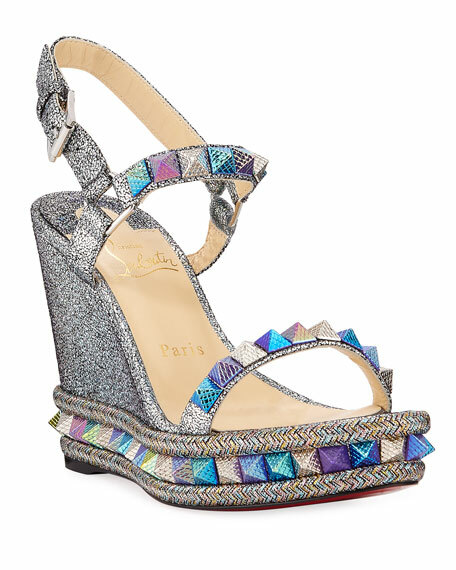 Alexandre Birman metallic leather espadrille sandals. 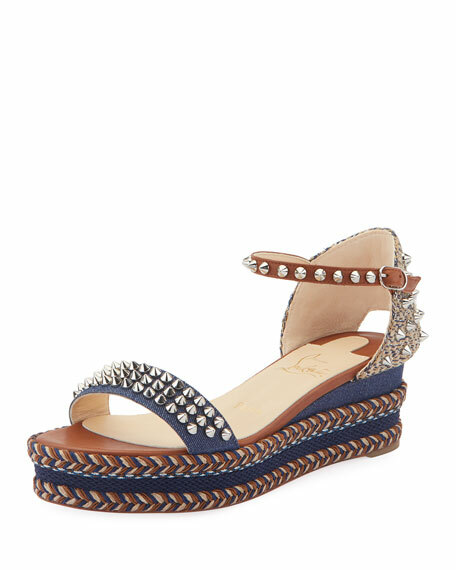 0.2" flat heel. Open toe. 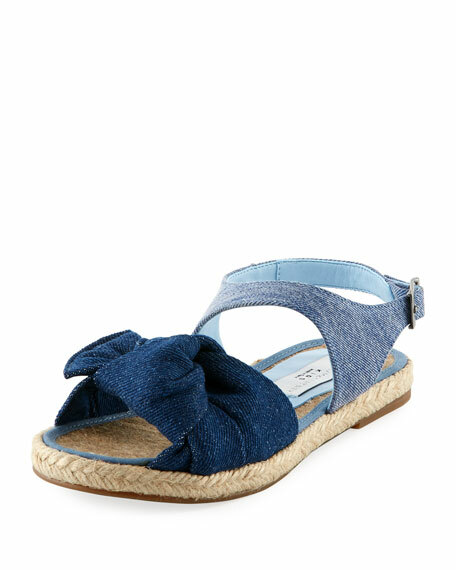 Knotted straps at upper. Slide style. 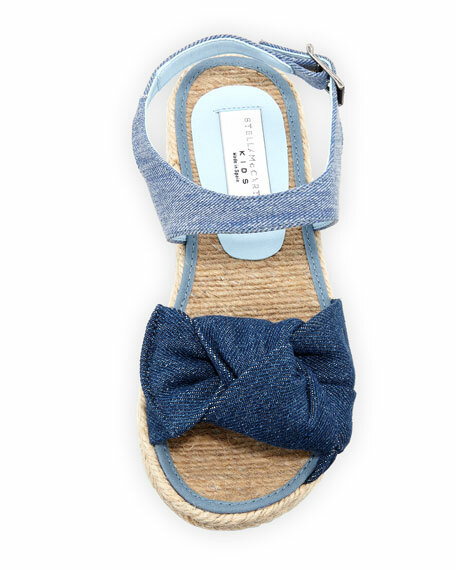 Braided-jute footbed. Smooth outsole. Made in Brazil. 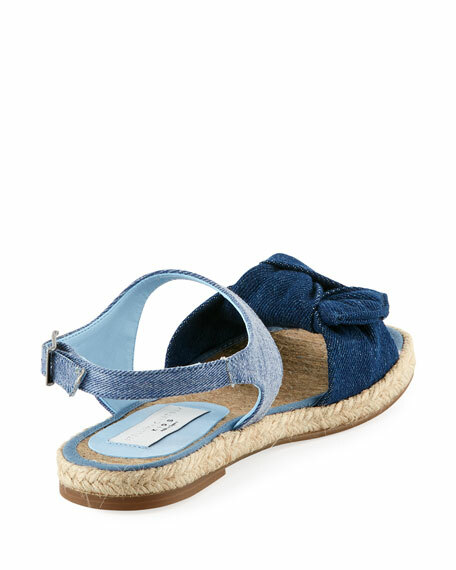 Chloe scalloped kid suede espadrille sandal. 2" covered platform heel. 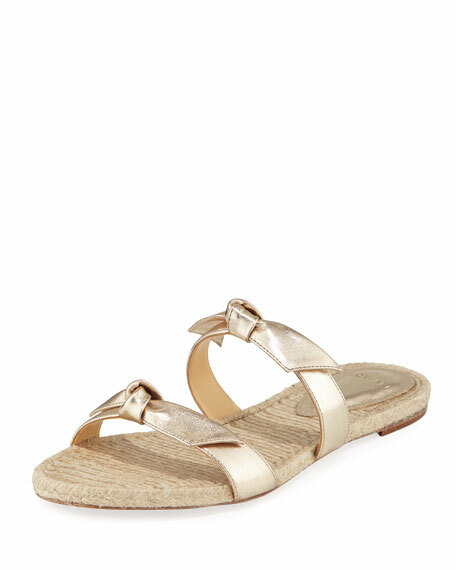 Wide strap bands open toe. Adjustable ankle strap. Braided-jute midsole. Smooth outsole. Made in Italy.